How to watch 3D movies on Samsung Smart TV? Samsung Smart TV is very popular now, there are many new features, include the 3D video playback feature. Many users have problems when they want to watch 3D movies on Samsung Smart TV, this article will show some easy steps for you to play 3D movies on Smart TV, or convert 2D to 3D for Samsung Smart TV playback. Nowadays many movies are 3D, you may have download or buy some 3D movie discs, to watch 3D movies on Samsung Smart TV via USB flash drive is an easy way, once convert 3D disc movies to .MP4 or other formats on PC and then transfer to USB flash drive, you needn’t to buy any disc players for Samsung Smart TV. 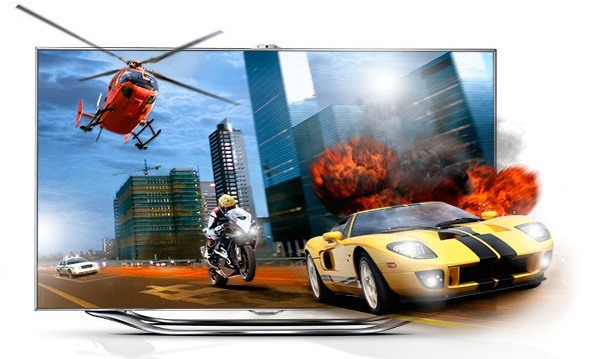 At the same time, many 3D movie formats are not well supported by Samsung Smart TV, the best way is to use a Samsung Smart TV Video Converter to convert 3D movies or 3D disc movies to best format supported by Smart TV, like 3D MP4 format, and then you can copy 3D movies to USB flash drive and watch 3D on Samsung Smart TV with best format via USB flash drive. If you are Mac user, Video Converter Ultimate for Mac can help you make 3D movies for 3D TV. Besides, you can convert 2D movies to 3D for Samsung Smart TV playback by the best 3D video converter for Samsung Smart TV. Now you can follow the easy steps below to convert 3D disc movies to a 3D video format, or convert 3D movie format to best format for Samsung Smart TV, like 3D MP4, or convert 2D movies to 3D for watching on Samsung Smart TV. 1. 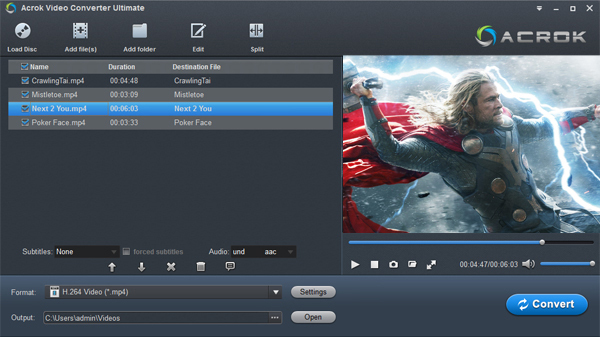 Install Video Converter Ultimate, this software will convert any 2D/3D movies to 3D video, rip Blu-ray and DVD disc/ISO/Folder movies to 3D formats. Tip: If you want to play purchased movies on Samsung Smart TV, you need to try DRM Demoval it can convert DRM protected videos, like iTunes movies, Amazon movies or other your purchased movies, you can remove DRM protection from them and convert movies to any video/audio format for playing on any portable devices. 2. Run this Samsung Smart TV video converter, import the movies you want to convert. 3. Choose output format, you need to click “Format” bar to choose “HDTV” > “Samsung HDTV Video (*.mp4)”. 4. For 3D output, you need to click “Edit” icon, then add 3D effects to imported movie. If the loaded movies are 3D video, you can skip this step. You can edit the video before converting, trim, crop, add watermark, or adjust effect as you want. After converting, you can copy converted movies to USB flash drive or memory card, and connect USB to Samsung Smart TV, follow the instructions of your TV to play USB flash drive content, and then you can play 3D movies on Samsung Smart TV as you want. just have a try, hope this software can help you! How to watch 2D movies on Samsung Smart TV via 3D effects?